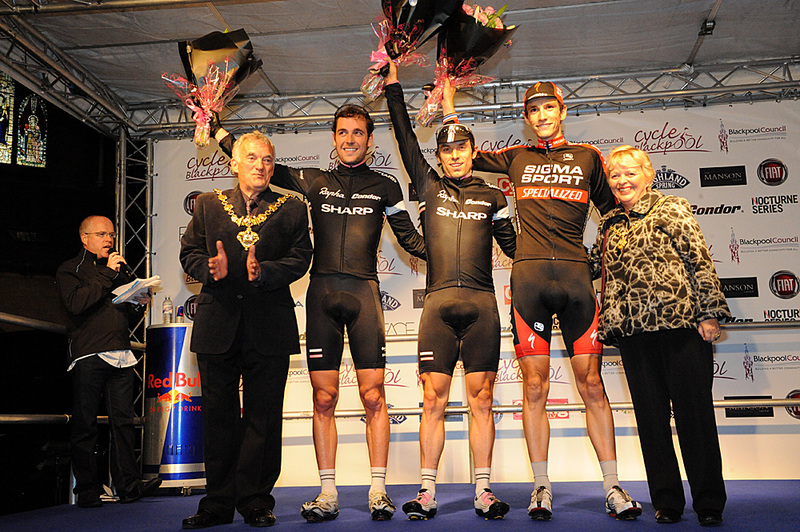 Dean Downing ran out winner of the Blackpool Nocturne on Saturday night, beating Simon Richardson at the finish after the pair escaped from the bunch. “I’ve been wanting to win one of these for four years. It’s taken me four years to win one!” Downing said afterwards. 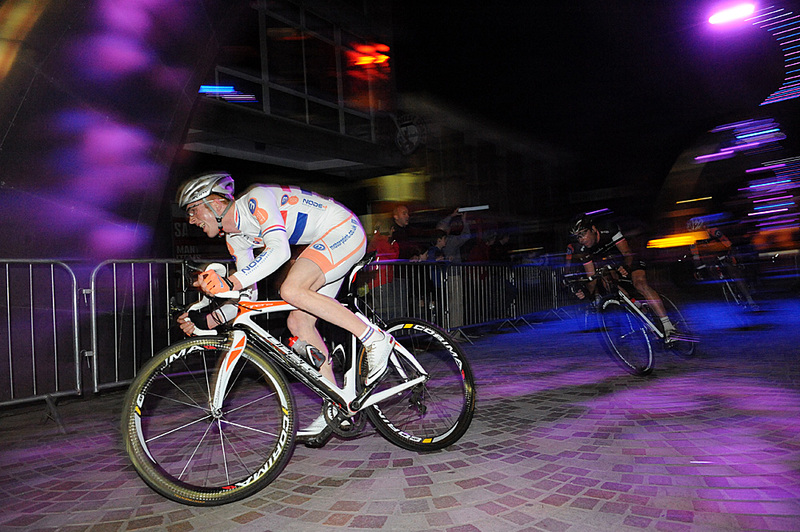 The pace had been brisk from the start around the new 900m circuit that passed the Winter Gardens on Church Street and on through the Brilliance Light Show along Birley Street on the return to the finishing area. There was a regrouping after the incident and that was when Simon Richardson made his move. 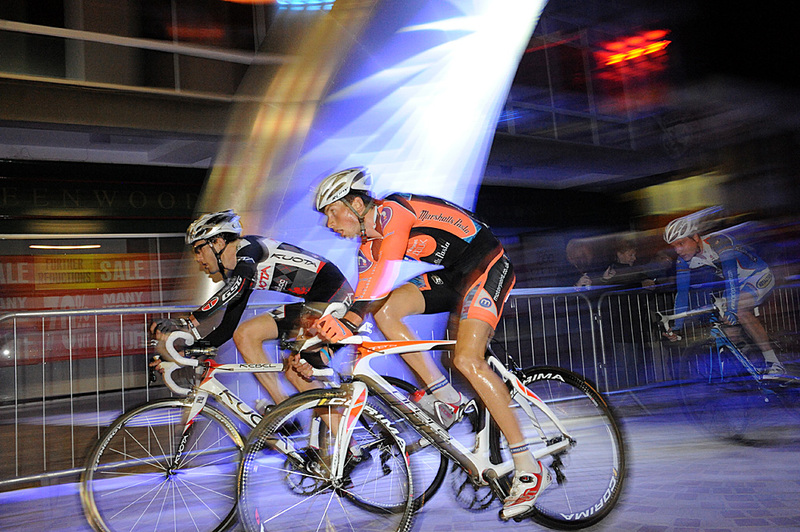 The pair worked together to get a substantial gap, lapping most of the field by the closing five laps of the race. 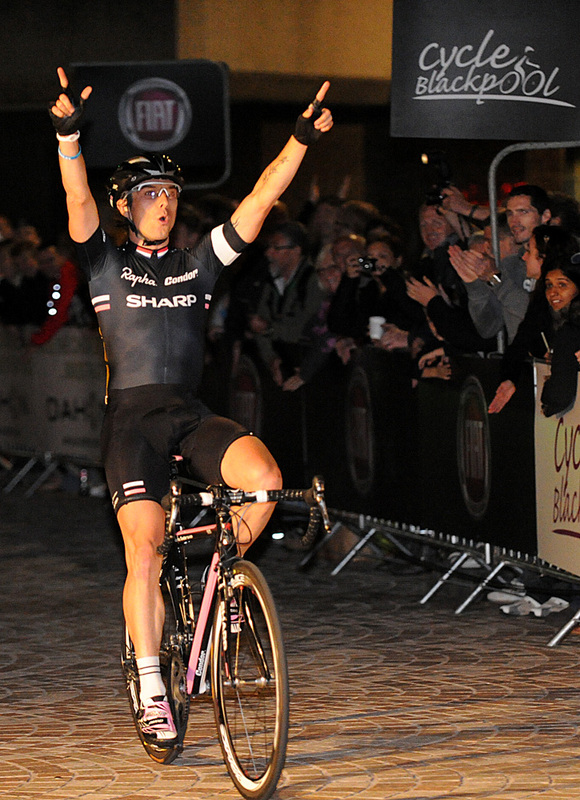 The chasing trio of Dean Windsor, Kristian House and Dave Clarke were the only riders on the same lap as Downing comfortably took the sprint for the line from Richardson.